Magnesium oxide reacts with water. A small amount of magnesium oxide (MgO, magnesia) in a test tube is mixed with water. Magnesium hydroxide (Mg(OH)2, milk of magnesia) is produced in the reaction: MgO + H2O -> Mg(OH)2. Magnesium hydroxide is poorly soluble in water. 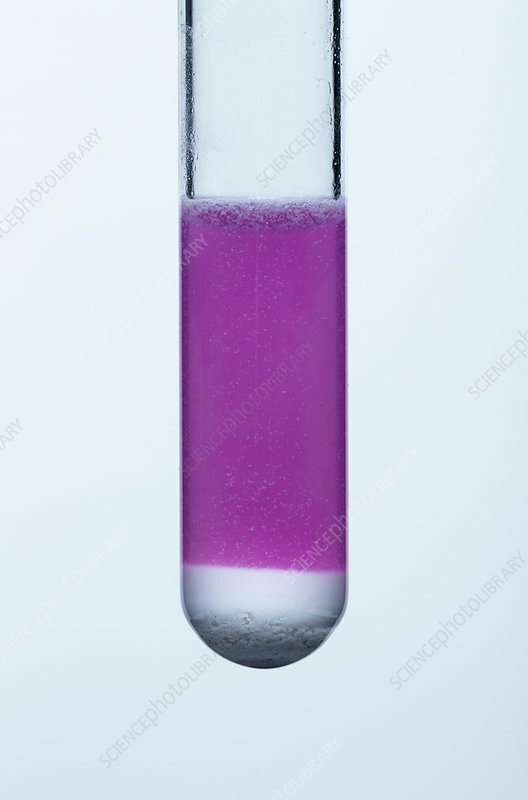 It still produces enough hydroxide ions to turn phenolphthalein indicator pink, indicating an alkaline resulting solution.